Very soft crop top with open arm holes to showcase something cute underneath. 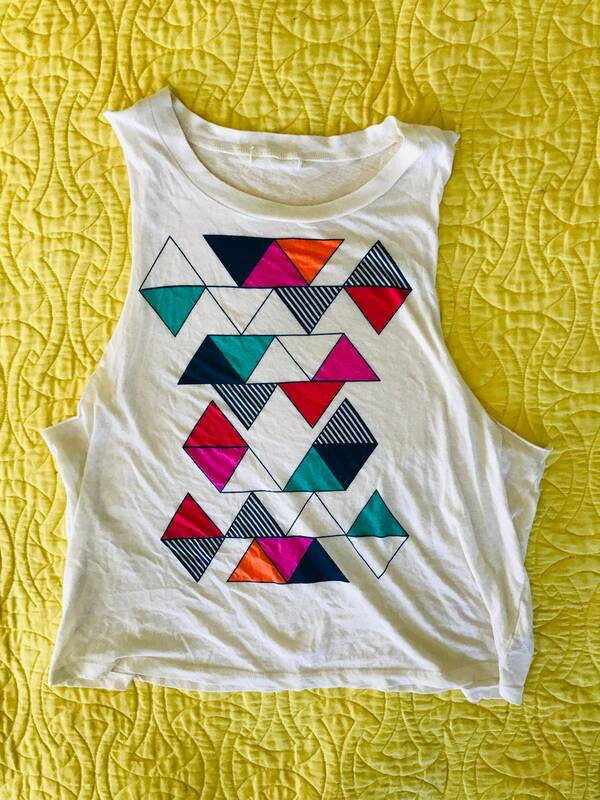 Fun geometric print. Gals medium. Measurements taken flat: bust 20, length 22.